“What should I try to maximise my business’s presence and earnings?” Is this question worrying you the most? Dive yourself into the list of blogging platforms and come out with the best Blogging platform. “Blogging” has gained massive popularity among worldwide businesses as it directly results in high business leads, since it is considered as a recognizable choice for content marketing. A blog is what sets a website apart from others in terms of marketing. Here is a cool infographic as well that showcases the state of blogging industry today. Different businesses recognize the necessity of this tool differently. For some, it is important to put an impact on their customers. And for others, it is important as a source of income. In simple words, it is an interesting activity in itself. Because of tedious coding, no one like to build a website. But endeavor to create a blog using user-friendly “Blogging platforms”. A blogging platform is a software or service that lets you publish your content on the internet. It encompasses exquisite customization tools that make blogging trouble-free. There are different choices available, and thus, picking the most appropriate one can be tough to decide. No worries, here I have listed the best blogging platforms that you can consider. These will be surely helpful grabbing the attention of audience towards your business resulting conversions. So, let’s have a detailed look on different blogging platforms to pick from. To come out with the best blogging platforms, we need to consider different options. So, let’s have a look, what options are available and how to choose the best among them. What sort of blog do you want to create? Whether for a business website or personal blog? The objective of creating your blog – Monetisation or selling products? How much customization level you want over our blogging platform? Do you want a paid or free option? With all these parameters in mind, let’s have a quick glance at the following comparison chart. Different remarkable blogging platforms have some goods and bads. Especially, when it comes to considering the level of blogging and coding skills. Here, I have shared different blogging platforms in-depth. And, I am sure that at the end of this post, you will definitely have an idea which is perfect to stick with. WordPress.org is considered as the most famous blogging software among the blogging community. For bloggers, this software offers many additional customization features. So, you can enjoy full control over the customization of your blog. The appealing collection of plugins and templates lets bloggers include different interesting elements in their blogs. 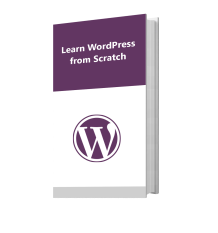 Due of this, WordPress is known as the best blogging platform for creatives. It is available free but you need to purchase hosting and domain. Access to more than 52K+ free plugins. So, you can add forums, mailing lists, analytics, galleries, online stores and much more. 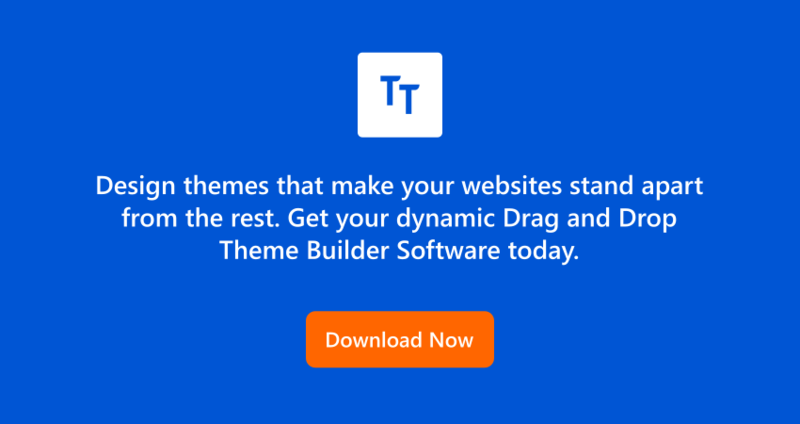 Thousands of premium and free themes. Offers Google Analytics tool for tracking and custom analytics. Blogger needs to manage security and backup. Moderate on the learning curve. Today, Wix is counted among the best tools to create blogs or building websites. Basically, it is the best self-hosted blogging platform. It gives drag and drop tools for building a website. With the help of Wix Blog app, bloggers can directly add blogs to their website.This platform provides free hosting but you need to pay for getting a custom domain. Wix also offers phone and email support to its users. When it comes to SEO, Wix is less friendly as compared to WordPress.org. Dozens of templates are available for customization. Unlimited image collections and beautiful galleries. Limited features for building e-commerce websites. Narrow availability of free third-party apps. Narrow use of a free account, and also exhibit ads and Wix branding on your website. WordPress.com blogging platform is developed using WordPress software. Bloggers do not have a need to download and then install this particular software, all they have to do is just create an account at WordPress.com. And, get ready to enjoy free blog building and maintenance in minutes. In addition to this, WordPress.com also offers additional storage and designing tools. But you have limited control over it as compared to the WordPress.org. Sign up with WordPress.com is free but it will keep showing WordPress.com branding ads. And in order to eliminate those, you need to a spend a reasonable amount. Offers additional features like email subscriptions, sophisticated comments, forms and advanced galleries. Huge collection of responsive themes for blogging, business, and portfolios. Installation of custom themes is possible. Any sort of advertisements cannot be run on the blog. Availability of limited options, so, can’t extend a website. Blogger is known as the oldest blogging platform in the blogging industry. Right now, it is run and operated by the Google. So, simply sign up with your standard Google account and rest is done by the blogger itself. It provides easy and fast methods for creating interactive content. Blogger is considered as the best blogging platform for beginners because of its user-friendly interface which is quite easy to operate. You can also enjoy free domain and hosting. If you love creativity then blogger is not a suitable option as it does not offer as many themes as you can get in WordPress.org. Simple and easy to use templates with hundreds of background images, designs, and flexible layouts. Google AdSense automatically show relevant ads on your blog thus, you can get paid for posting about your passion. An additional benefit of Google’s reliability and robust secure platform. While talking about Tumblr, it is a great microblogging platform, designed specifically for those bloggers who love to publish animated GIFs, videos, micro-blogs, images, and quotes etc. It features many built-in tools to explore additional functionalities. You will also get subdomain and free hosting. Tumblr really lets you create amazing things that exactly you want to do. But when it comes to themes availability, Tumblr has quite less to offer with. Offers integrated social media content. When you follow a blog, all its posts will display in your dashboard. You can also reblog that to your own blog. Built-in designs for writing different sorts of content. Import of a Tumblr blog to any other platform is tough for a newbie. Most of the available themes on Tumblr are less in features. Medium is considered as the best publishing platform for articles, blog posts, and stories. Since its launch in 2012, it has been very popular among experts, journalists, writers, and bloggers. Its user-friendly feature is the main reason behind its popularity. This particular platform is named among the best places for writing and sharing your thoughts with the audience. There is one problem with Medium, you can’t enjoy full control over publications whereas WordPress.org offers bloggers with full control. Facilitate bloggers to connect to the community of people who have similar interest. Typography setting is quite impressive. Available with amazing import tool, you can import anything with few clicks. Personal ads cannot be run on this platform so, you can’t earn extra bucks. Medium will have the full control of publications. Limited features for building and designing a brand. While talking about all-in-one website building solution then Squarespace is the first that strikes my mind. Whether you want to use it for e-commerce stores, launch blogs or business websites, it can serve you the best. Squarespace offers user-friendly interface, ultimate customization facilities, and templates. It also serves you with free hosting and domain but when you need to go for the monthly subscription then you will find it quite expensive as compared to WordPress.org. A comprehensive set of tools for engaging your audience. Separate domain name with e-commerce stores and SSL/HTTPS. No plugin or theme support. Expensive as you have to go for a monthly subscription. Less availablity of integration facilities in Squarespace. All those who are looking for the best blogging platform i.e. open source, then Ghost is the perfect option for them. It offers easy to use and clean interface. Bloggers can also enjoy the live preview of their posts while writing them. So, it allows easy correction of coding or writing mistakes when someone continue with the blog. Ghost posts come with a robust tagging functionality that offers an elegant categorization of content to you. But, when it comes to themes, you can find less number as compared to WordPress.org. Requires no setup for the hosted version. Facilitate advance scheduling of content, it will automatically publish the content at right time. Bloggers have full control over the different things like Slack Webhook Integration, RSS feeds and email subscriptions. Addition of analytics code, logo, and creation of navigation menus can be done with few clicks. Intuitive and clutter-free user interface. Limited themes to change the look of your website. Customization tools are not so easy to use. Drupal is considered as a fully functional Content Management System. This software is a perfect option for online forums, e-commerce stores or even building professional websites. With steep learning curve, Drupal is complex as compared to WordPress.org which is less complex. It has around 2k+ themes to offer. The technical management system of Drupal is also difficult to work with, also you cannot consider it as the best blogging platform that can accommodate newbies. It also does not offer hosting so, you have to pick a hosting service in order to run this particular platform. It supports publishing different types of content like podcasts and videos. Drupal offers different design options like responsive layouts, adjustable color scheme, fonts, stock graphics and much more. It is not completely dedicated towards bloggers. Not easy to handle as it has steep learning curve. Joomla counts among the most demanding and easy to use blogging platforms. When it comes to choosing a platform for social networks and eCommerce stores, Joomla is considered as the best there. It is also an SEO friendly platform. Joomla has a complex learning curve as compared to WordPress.org. In addition to this, it is free for just one month and after that, you can be charged for any amount. Multiple-language support for front-end and for admin. Management of important things like security, backups, and updates needs blogger’s attention. The paid support is difficult to get and also expensive. Complicated to use by the non-technical persons. Which is the Best Blogging Platform in 2018? While there are huge alternatives available on the web whether paid or free. But, figuring out the best blogging platform is quite a tough task since each has its own features to captivate your blogging experience. Usually, people feel stressed when they need to answer this question – “How to find out the best blogging platforms?” if you are not sure which would be substantial take for you. Then I recommend you simply go with the popular one blogging platforms. Today, a business can’t imagine its success without an online presence. And online presence lives with the existence of blogging. 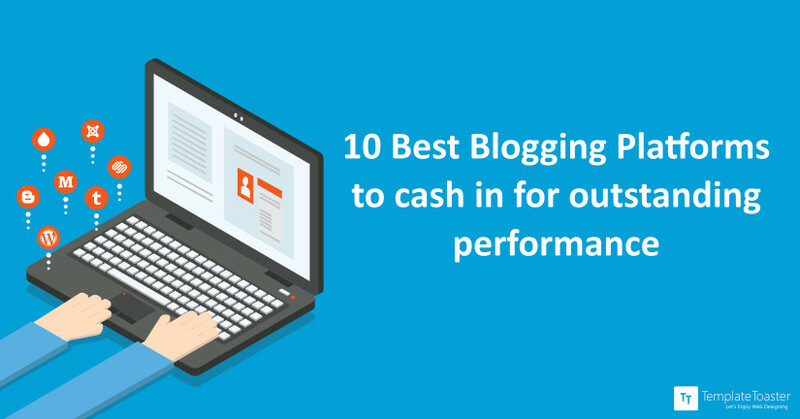 So, having the best blogging platforms is significant for each and every business. There are many worthy contenders to choose from. But based on the comparison, WordPress.org is the king of content management. With its endless flexibility, security, and ease of use, you can update blogs with few clicks. Coolest of all, it is free. WordPress can be considered as the foundation stone. It also offers themes to apply in blogs. I hope you are now clear with your choice on which blogging platform to choose.. so what’s next? You need a theme for your website! Basically, the design of your website is dealt with a theme, in case you are going with any CMS e.g. WordPress, Joomla or Drupal. It’s notable here to choose a proficient tool like TemplateToaster, a web design software and website builder compatible with all major CMSes to design stunning themes for your blog to make it rise high above the sea level because you cannot afford to lose the race. So, it’s all about best blogging platforms! Hope you will like these and don’t forget to share your suggestions or comments below.